Use coupon code CLEANHOUSE to receive 50% everything at the ComfiCozi.com website. 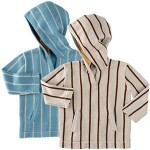 Find baby clothing, baby toys, products for Moms and more here. Some of the brands they carry include: Tea Collection, Fleurville, Alex Toys, Splendid Littles and Timi & Leslie.